The war in Gaza has highlighted the tense relationship between Egypt and the Palestinian factions, mainly Hamas, in Gaza. However, it seems Cairo does not view all factions with one lens, and it is clear Egypt’s relationship with the Palestinian Islamic Jihad appears to be less acrimonious. Many pundits misjudged the nature of dynamics between Egypt and Israel, and viewed them as allies in the war in Gaza. Although Egypt and Israel may share some interests, they differ on many aspects of the Gaza conundrum, and Islamic Jihad is one of them. Israel regards all militant groups in Gaza as terrorists, a view to which Egypt does not necessarily subscribe. According to Hussein Ibish, senior fellow at the American Task Force on Palestine, Egypt’s effort to negotiate a truce is not a foreign policy question. “This is not an external affair,” Mr. Ibish said recently. “This is a national security issue that is domestic and internal from their [Egypt’s] point of view.” This is precisely why President Sisi cannot afford to burn bridges with all of Gaza’s factions. He needs, at least, one friendly faction. Can this faction be the Islamic Jihad? Yes. Following Hamas’ takeover of Gaza, Egypt’s favorite Palestinian group, Fatah, has become less influential inside the impoverished strip, and has been replaced by other militant groups such as the Islamic Jihad. President Morsi’s ousting in Egypt was a huge setback for Hamas, but surprisingly not the Islamic Jihad. A few days after the coup in Egypt, senior Islamic Jihad leader Khader Habib described the events there as an internal crisis his faction did not want to meddle in. Major-General Sameh Seif El-Yazal, Director of Al-Gomhoria’s Center for Political and Security Studies in Cairo, stated that all the Palestinians arrested in Sinai and Egypt over the past few years were not members of the Islamic Jihad movement. “Islamic Jihad did not harm Egypt’s national Interests,” he said in a TV interview on Rotana Masriya TV on August 4. El-Yazal’s statement contradicts Egyptian army claims last year that terrorist elements in Sinai were using heavy weapons belonging to the Al-Quds Brigades, the armed wing of the Islamic Jihad in the Gaza Strip. This contradiction may be a misjudgment by El-Yazal, but it can be a deliberate tactic by the Egyptian leadership; part of Sisi’s standard policy of maintaining good relations with one Islamist faction, at least, just like his alliance with the Salafi Nour Party in Egypt. There are indications that Salafi Nour party has good relation with Islamic Jihad, and it could have played a rule in smoothing the relations between Egypt and Islamic Jihad ___ although, there are no strong evidences to support this assumption. Like all his predecessors, Sisi does not want to inherit Gaza, but he does want to maintain the impoverished strip within his regional influence. Sisi has managed to secure an initial victory by heading negotiations in Cairo between Israel and a united Palestinian delegation that includes not just Hamas, but also the Islamic Jihad and the Palestinian authority. All the previous negotiations (in 2008 and 2012) were mainly with Hamas; therefore, Sisi has actually managed to dilute Hamas within a wider group that is mostly friendly to him. The outcome of the negotiations means little to President Sisi, as all scenarios are not bad for him. If a deal is reached, he can claim credit for its success. However, if the talks fail, it is not such bad news: Sisi will not just blame Israel and Hamas for the failure of the talks; he will also happily watch Israel sink more into the Gaza swamp. Israel’s occupation of Gaza will actually be Egypt’s best possible outcome. It will relieve the Egyptian authority from the headache of who and how to run the Rafah border between Gaza and Sinai, and will be perfect for Sinai’s security by ending the smuggling of weapons and militants from Gaza. Even in a potentially nightmarish third scenario of a continuing war of attrition between Hamas and Israel, the implications for Sisi are not all negative. He will continue to play for time until Hamas or Israel decides to compromise and meet again in Cairo to forge an agreement. Within that context, other groups such as the Islamic Jihad are important for Sisi. He needs eyes and ears inside the strip. 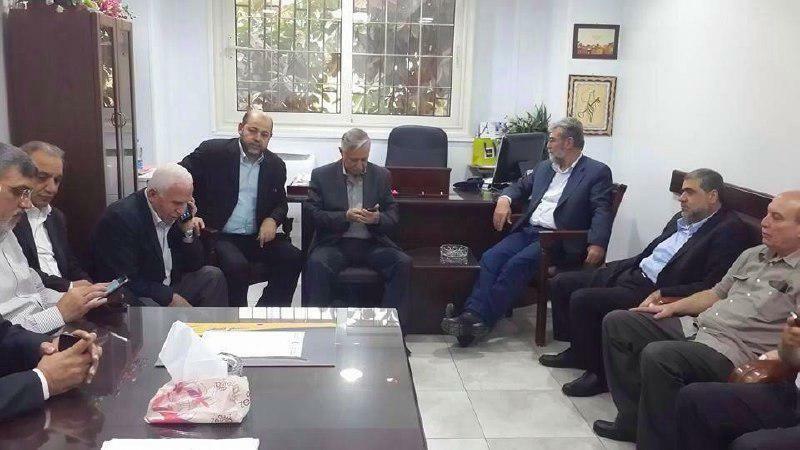 The leaked news that Hamas has executed its former leader, Ayman Taha, for allegedly spying for Egypt, will possibly prompt Sisi and his intelligence apparatus to find alternatives, not necessarily inside Hamas, but at least inside Gaza. Even if the Islamic Jihad refuses to play ‘the spy role,” the fact that they are friendly to Sisi will put psychological pressure on Hamas. The Gaza crisis has highlighted President Sisi’s sheer pragmatism and ruthlessness. He does not judge the Palestinian factions by their ideology or tactics, nor does he treat Israel as a friend or foe. These are all irrelevant issues ____ the goal for Sisi is not for Israel to win or for Hamas to lose, but for the conflict to be a win-win for his Egypt. Sisi is, and will always be, a political realist motivated by what he perceives as his national interests. This entry was posted in Egypt, Gaza, Middle East, Palestine and tagged Egypt, Gaza, Hamas, Islamic Jihad, Israel. Bookmark the permalink. Unfortunately,most media outlets focus on certain perception that suit their outlook. Pro_Israel, like to put Israel and Egypt in one basket to paint an image of “Israel is not alone.” Pro-Hamas do exactly the same to paint Sisi as a traitor. Both miss the complexity of Sisi and how he only serves his own interests. Excellent analysis of a fairly complex situation. Egypt needs to focus on what is in its best interests and if future events prove this to be the case, then Sisi, as the Egyptian President, should be applauded for taking this approach. Many thanks. Truly appreciate your kind words. Refreshingly unbiased. Most of the attention is on Gaza and Israel, not so much on Egypt. You are exactly the kind of person who should be at the forefront of people’s information. It’s clear you don’t favour (at least within your writing) one side or the other. Truly appreciate your kind words. Thanks.